The Leach • Remmers story is about two guys with one goal: To make heating and air conditioning easy for customers. When Jeff Leach and Gary Remmers started this company in 1999, their mutual passion for working on heating and cooling systems was the foundation of a service business that has always looked to deliver the best quality and value in the industry. 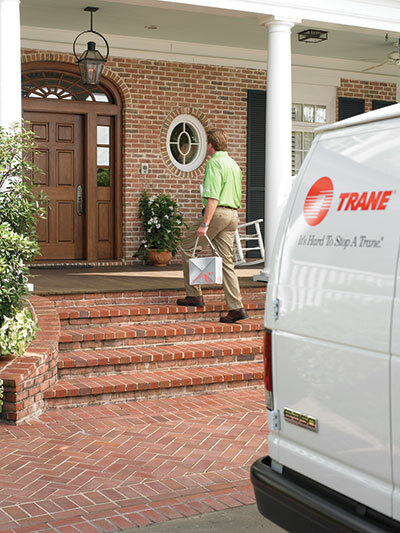 We’re an independent Trane Comfort Specialist™ dealer with a full line of innovative products and top technicians who follow in Jeff and Gary’s footsteps to provide the attention to detail and customer service that produces maximum results and satisfaction. For reliable heating and cooling services from a team that loves making you comfortable, call Leach • Remmers today!